Silver and gold collector coins dedicated to Hanseatic Tallinn will go on sale in the museum of Eesti Pank, the online shop, and post offices across Estonia at 12.00 on Thursday 9 February. 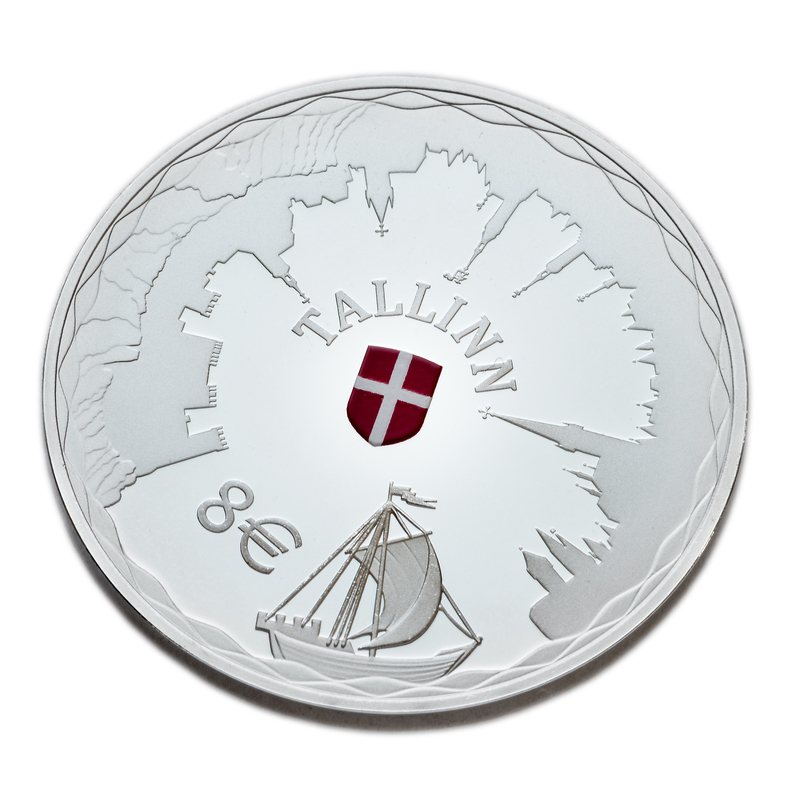 The collector coins for Hanseatic Tallinn are the start of a series of coins dedicated to the Estonian Hanseatic towns. “The era of the Hanseatic League was a heyday of Estonian history in many ways, as our towns connected us closely to Europe and our most beautiful old towns date back to that time. 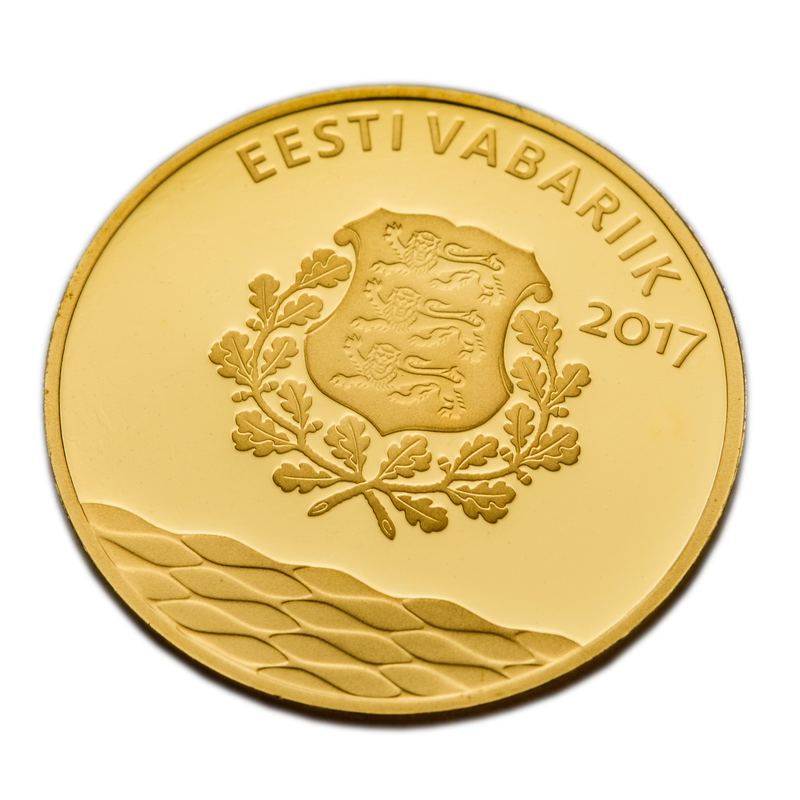 The series of coins dedicated to Hanseatic towns allows us to remember Estonian history and to appreciate and promote the history of our towns”, said Rait Roosve, Head of the Cash and Infrastructure Department at Eesti Pank. The silver coin dedicated to Hanseatic Tallinn will use a design by Riho Luuse. The design on the coin has the silhouette of Tallinn, a Hanseatic trading ship, and the heraldic shield of Tallinn. 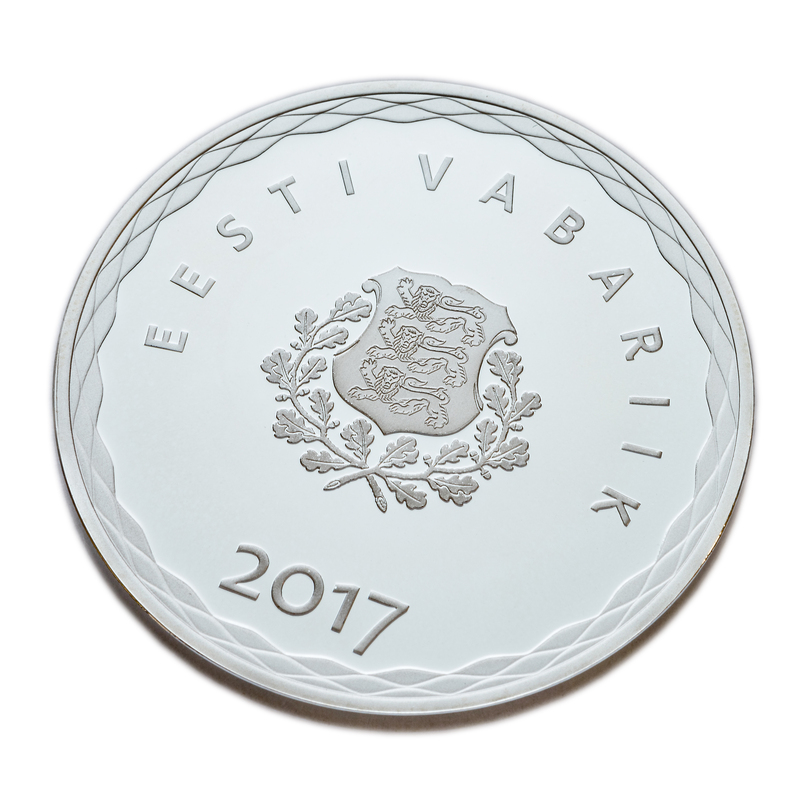 The obverse side shows the coat of arms of the Republic of Estonia and the year 2017. The proof quality silver (Ag 925) collector coin weighs 28.28 grams and is 38.61 mm in diameter, and 5000 of the coins will be minted. The silver collector coin has a nominal value of eight euros and can be purchased for 40 euros. 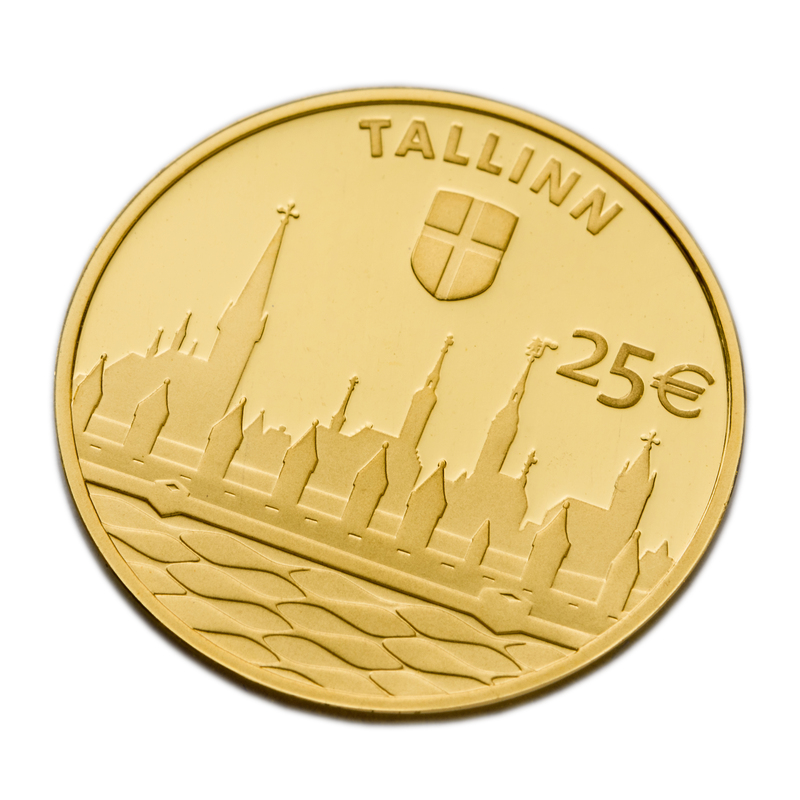 The gold coin dedicated to Hanseatic Tallinn is also designed by Riho Luuse. The coin shows a bas-relief of Tallinn, decorative waves of fish, and the heraldic shield of Tallinn. The obverse side shows the coat of arms of the Republic of Estonia and the year 2017. The proof-like quality gold (Au 999) coin weighs 3.11 grammes and is 18 mm in diameter, and 2000 of the coins will be minted. The gold collector coin has a nominal value of 25 euros and can be purchased for 185 euros. The coins can also be bought as a set for 250 euros. The coins have been minted in the Portuguese mint Imprensa Nacional-Casa da Moeda, S.A. The coins cannot be booked in advance and while there is no limit on purchases of them, Eesti Pank reserves the right to introduce limits if interest in them is very high. The Eesti Pank Museum at Estonia pst 11, Tallinn is open from Tuesdays to Fridays 12.00-17.00 and on Saturdays 11.00-16.00. The coins and other collector coins issued by Eesti Pank are on sale in the post offices at Narva mnt 1 and Lossi plats 41 on Toompea in Tallinn; Riia 4 and Kalda tee 1C in Tartu; Torni 4 in Kuressaare; Nurme 2 in Haapsalu; Tallinna mnt 1 in Narva; Adoffi 11 in Rakvere; Hommiku 11 in Pärnu; Kesk 10 in Valga; and Tallinna 22 in Viljandi. Collector coins are mostly made of precious metals and commemorate important events or people for the issuing country. Collector coins are only legal tender in the country of issue, but they are not intended for circulation and their selling price usually exceeds their nominal value. The silver and gold coins dedicated to Hanseatic Tallinn are collector coins. The commemorative coin is a normal circulating coin with a special design. Such coins can be used for normal payments. The special designs are usually related to an important local or European event. Commemorative coins are always two-euro coins, and no other coins are issued with special designs. Each euro area member may issue two special two-euro coins into circulation each year, unless a joint commemorative coin has been issued. The countries of the euro area may also issue one joint commemorative coin once a year. Commemorative coins are valid as legal tender throughout the euro area. More information on commemorative coins can be found on the website of the European Central Bank . In the second half of 2017 Eesti Pank will issue a two-euro commemorative coin dedicated to the events that preceded Estonia's independence. A competition has been announced for designs for the coin, and it will run until 31 January. More information on the competition can be found on the Eesti Pank website . What do proof and proof-like quality mean? Proof refers to the quality of the coin. Proof quality means that the coin has been specially made and the quality of it has been checked repeatedly during the minting process. Proof quality coins stand out for having a brilliant reflective surface and a matte surface. Proof-like quality coins are also specially made but not to such exacting standards as proof quality coins. The reflective surface is not as shiny as on a proof quality coin.